May-Britt and Edvard Moser from the Norwegian University of Science and Technology (NTNU) in Trondheim were elected members of the American Philosophical Society at the society’s semiannual meeting in Philadelphia this weekend. The APS is the oldest “learned society” in the United States, founded by Benjamin Franklin in 1743. The Society promotes useful knowledge in the sciences and humanities through excellence in scholarly research, professional meetings, publications, library resources, and community outreach. Membership in the APS is entirely honorary and reflects extraordinary accomplishments in all fields of intellectual endeavor. Members are nominated and elected by their peers in the Society. The Mosers, both neuroscientists, were recipients of the 2014 Nobel Prize in Physiology or Medicine. 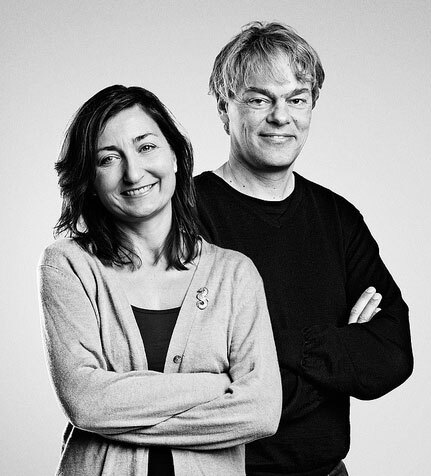 They have previously been honored by the APS with the 2014 Karl Spencer Lashley Award, “in recognition of their discovery of grid cells in the entorhinal cortex, and their pioneering physiological studies of the hippocampus, which have transformed ounderstanding of the neural computations underlying spatial memory.” Professor Edvard Moser leads the Kavli Institute for Systems Neuroscience and May-Britt Moser is Director of the Centre for Neural Computation. The society elects members in five classes; mathematical and physical sciences, biological sciences, social sciences, humanities and the arts, professions, leaders in public and private affairs. For each of the five classes, a handful of American members are elected, and one or two international members. May-Britt and Edvard Moser were the only two international members elected to the Biological Sciences class. Among the Moser’s fellow new international members are Thomas Piketty, Professor of Economics, Paris School of Economics, and Nicholas Stern, President of the British Academy and I G Patel Professor of Economics, Chair, Grantham Research Institute on Climate Change and the Environment, London School of Economics, both of whom were elected to the Social Sciences class. Nobel Laureate and NTNU alumnus Lars Onsager was elected a member of the Mathematical and Physical Sciences class in 1959. Emre Yaksi was chosen for FENS-Kavli Network of Excellence. Nobelprisvinnerne Edvard og May-Britt Moser fra NTNU er valgt som medlemmer av den eldste kunnskapsforeningen i USA, grunnlagt av Benjamin Franklin i 1743. American Philosophical Society (APS) er en prestisjefylt kunnskapsforening i USA. I helgen ble Edvard og May-Britt Moser valgt som nye medlemmer. Medlemskap i APS gjenspeiler ekstraordinære intellektuelle prestasjoner. Foreningen velger medlemmer i fem klasser: matematikk og fysikk, biologi, samfunnsvitenskap, humaniora og kunst, profesjon / yrkesutøvelse og ledere i offentlige og privat virksomhet. I hver klasse velges en håndfull amerikanske medlemmer, samt en eller to internasjonale medlemmer. May-Britt og Edvard Moser var de eneste to internasjonale medlemmene som ble valgt i klassen for biologi.